Ajit Doval became India’s fifth national secu­rity advisor (NSA) within days of the swearing in of Prime Minister Narendra Modi’s swearing in May 2014. He would have hoped to work in the shadows, just like he did all his professional life as one of India’s accompli­s­hed spymasters. But in his 20-month ten­ure so far as NSA, Doval has been in the public limelight far more than any of his predecessors, barring perhaps Brajesh Mishra, the country’s first security tsar under A.B. Vajpayee. In the wake of the Pathankot terror attack, his role has once again come under close scrutiny, with critics blaming him for what they call a “botched-up” operation, thanks to his penchant for a hands-on approach. Some have even labelled him a control freak for taking charge of sensitive counter-terrorists ops. Others point to his lack of experience in and exposure to foreign policy issues—as an IPS officer who got deputed to the Intelligence Bureau fairly early, he spent his entire career in counter-insurgency and int­­elligence operations—as a reason for India’s recent flip-flops in dealing with Pakistan and its faltering steps in Nepal. 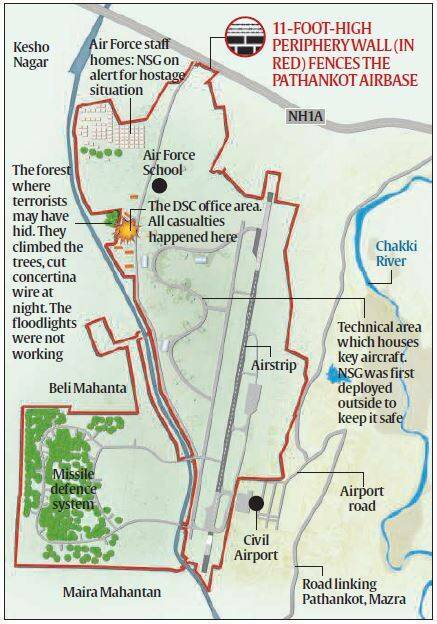 The criticism has got louder in recent days over the Path­an­kot air base attack, mainly over Doval’s apparent attempt to micro-manage the operation from Delhi and rushing in the NSG, India’s primary counter-terror force, when over 50,000 army troops are located in the close vicinity of the air force base. A closer scrutiny of the sequences of events however reveals that most of the criticism is based on half-baked information and preconceived notions. For instance, the charge that the army was kept out of the operation turned out to be misleading since over 1,000 Army troops were fully involved in the operation. And contrary to reports, after the initial planning done in his room on January 1 with the army and air force chiefs, the overall coordination was left to the commander-in-chief of the Western Air Command. While I feel the anti-terror operation was clinically exe­c­uted, the government failed to win the perception battle as it did not communicate the correct and essent­ial information about it in time. Absence of quick factual information led to much of the uninformed reporting on the attack and its aftermath. It's high time we woke up to the endemic vulnerabilities of our strategic assets and installations. We may not be so lucky next time. Inquiries and investigations are ongoing into various aspects of the attack at the Pathankot Air Force Base, but it is unlikely that the whole truth will ever get out into the public. On the basis of available information, however, it is safe to say that the Modi government has been extraordinarily fortunate. Had the present attack not been preceded by exceptionally specific intelligence, the bizarre incident of the hijacking of a Superintendent of Police’s car, and a group of incredibly loose-talking terrorists, the attack could have been devastating. It is significant that, despite the many hours of clear forewarning and the fairly definitive identification of the intended target, the terrorists were still able to breach the perimeter of the base (and it is nonsense to argue that this is over 25 kilometres long and consequently cannot be effectively sealed off. By that measure, no large installation in the country can effectively be protected). They were, moreover, able to penetrate fairly deep into the airbase, albeit not into the “technical area” where strategic assets were located. It is useful to divide the response into two components. First, the sharing of intelligence and of information gleaned from the car hijack incident, assessment, identification of target, and systemic response times appear to have been most satisfactory. Significant deficiencies are, however, visible in the actual response. While a major disaster has been averted, it is abundantly clear that security arrangements prevailing at the airbase and their augmentation in response to the specific threat were far from adequate. It is clear, moreover, that this was the result, not of any conceivable resource constraints, but of deficiencies in conceptualisation and design of the response. What levels of security are in place in normal times at the Indian Air Force Base (and other comparable defence establishments)? Do contingency plans exist to deal with potential threats? Were these followed (this is improbable, on current publicly available information)? Were measures proportionately and appropriately augmented in view of specific intelligence relating to an attack? What was the rationale of handing over charge of the response to a relatively tiny contingent of an outside force – the National Security Guard – which would have little or no familiarity with the lay of the land and the peculiarities of security at the airbase? Why was the counter-terrorism response conceptualised as a tactical special operation within the airbase, rather than one of perimeter protection? And why were only tiny units from the Army and Air Force mobilized when tens of thousands of trained and equipped personnel, including Commando and Special Ops units, were available all around the airbase in the sprawling Pathankot Cantonment? One of the critical problems here is the NSG and the Centre’s orientation to this Special Force. When NSG hubs were to be established in various metros in the wake of the Mumbai attacks, I had written that this was not an appropriate pattern of deployment and response. The Centre has distorted and delayed counter-terrorism responses in a number of high profile terrorist incidents, simply because of the insistence that the NSG alone, and not local forces, were competent or authorised to respond. This was certainly the case in the Akshardham Temple attack; it caused interminable delay in the Mumbai 26/11 response (and the terrorists remained active for some 62 hours even after the deployment of the NSG); and engineered a veritable disaster at Amritsar in the IC 814 hijacking case, which culminated in national humiliation at Kandahar. The ease with which terrorists penetrated the base, an investigation by The Indian Express has found, was just one of many factors which facilitated the strike. The only fact that truly mattered hung off the wall, swinging slightly in the morning breeze, when investigators discovered it yesterday. It was a nylon rope, looped from the ground up over the Pathankot Air Force Base’s 11-foot-high perimeter wall and then down again. Little genius had been needed to pull off the feat: one member of the assault team had climbed up one of the eucalyptus trees growing along the fence, and bent it over with his weight on to the wall. Helping them was the dark — the floodlights in that stretch of the wall were not working that night. Hundreds of Defence Security Corps guards tasked with guarding that fence, the last line of defence for one of India’s most vital forward bases, had failed to notice as the assault team lugged themselves, 50 kg of ammunition, 30 kg of grenades, and their assault weapons. The ease with which terrorists penetrated the base, an investigation by The Indian Express has found, was just one of many factors which facilitated the strike — leading to a three-day fire engagement that has set off a political storm as well. Criticism about the time it took to end the operation misses the point. Forces elsewhere in the world have taken longer to terminate operations in smaller areas. The losses of Indian security force personnel, though tragic, are far from the highest India has suffered in similar strikes. However, an investigation by The Indian Express including interviews with eyewitnesses, several key police, military, intelligence and government officials in New Delhi, Chandigarh and Pathankot and those involved in several aspects of the operations, points, instead, to glaring gaps in planning, command, training and equipment. This is known: no one paid much attention when taxidriver Ikagar Singh started up his Innova and drove out of the yard in front of his home in the village of Bhagwal (35 km from the airbase) at around 8 pm on New Year’s Eve. There wasn’t any reason to. He was barely 5 km away from the India-Pakistan border, as the crow flies. And Ikagar told his relatives he had got a call from a family that wanted to rush a patient to a hospital. That family has since denied that they called. To the west of the village, a tributary of the Ravi slices through the border, creating a kilometre-wide gap in the fencing that runs all the way from the Rann of Kutch to Kashmir. For decades, smugglers, and the then Khalistan terrorists, used these ravines and elephant grass-covered marshes to infiltrate into India from Pakistan. They still do. Last year, the terrorists who attacked Dinanagar used just this route. Police sources said Ikagar made a call to Harjinder Kaur, a woman relative in Janial village 8 km away, to tell her that he was on his way. The woman says the call came at 9.31 pm. “Later when I called his number, the phone rang twice but was not answered,” Kaur told The Indian Express. It’s shortly after this, police suspect, that Ikagar was waylaid by terrorists between Bhagwal and Janial. His body would be found at 11 am the next day, hours after the taxidriver had bled to death, his throat slit. Police investigators, as well as the intelligence services, believe the terror squad likely crossed the border through the marshes west of Bhagwal. The Border Security Force denies this, noting that there’s no video footage of an infiltrating group, nor a cut in the border fence. But that was true of the Dinanagar attack, too — because there is no fencing in the stretch given the terrain. Along with the National Investigation Agency (NIA) inquiry into the terrorist attack on the Pathankot airbase, the Punjab government’s report to the Union home ministry, the Indian Air Force’s own court of inquiry to probe alleged lapses, and the usual round of futile soul-searching, two mysteries arose during the four-day long anti-terrorism operation: the inexplicable delay by the Punjab Police once the infiltration of terrorists came to light, and why the Army was not directing the operation once the attack began. There was also criticism of the role of national security adviser Ajit Doval, who was alleged to have micromanaged the operation. Mr Doval was one of the negotiators sent to Kandahar; one of the terrorists released was Maulana Masood Azhar who later created the Jaish-e-Mohammad, suspected of the Pathankot attack. The then Punjab DGP, Sarabjit Singh, later privately confessed that unlike Mr Gill, he found himself unable to take a bold initiative; even his state government — led by the same Akali Dal and Badal family as now — advised him to wait for orders from New Delhi. And at the Crisis Management Group in Delhi, there was plenty of advice (the Intelligence Bureau told Punjab Police to deflate the aircraft tyres, as if it were a bicycle) and finger-pointing (the National Security Guard was blamed for not mobilising to Amritsar airport rapidly enough), but little else. Sixteen years after being released in Kandahar, Masood Azhar has once again exposed the deep fault-lines in India's counter-terrorism capabilities. For a few months, Indian intelligence agencies were tracking several phone numbers in Pakistan that they believed were used by the group earlier known as Jaish-e-Mohammed, or JeM. Created in the aftermath of the hijacking of Indian Airlines flight IC 814 in 1999, the JeM was the brain child of Maulana Masood Azhar, one of the terrorists released in exchange for the safe release of IC 814 and its passengers. On the morning of January 2, terrorists said to be from the JeM apparently slipped into the Pathankot Air force station and engaged the Defence Security Corps personnel in a surprise attack. When the attack started, Indian intelligence officials from India’s Research & Analysis Wing immediately went back to the transcripts of the JeM numbers they had been monitoring for months. Intercepts revealed that the terrorists who had attacked Pathankot were from the JeM and were regularly in touch with the outfit’s known military commanders. For years, one man had tracked the growth of Maulana Masood Azhar and was present on the tarmac in Kandahar when he was exchanged in return for Indian passengers on board flight IC 814. Ajit Doval, now the National Security Advisor, had helped nab the man in 1994, when he infiltrated Kashmir and helped bring peace between two warring terrorist outfits. After the December 2001 terror attack on Indian Parliament, then Pakistan President Pervez Musharraf's government had been forced to ban the group in January 2002, following which it was said to have changed its name to Khaddam ul-Islam, but was still better recognised by its old name. In 2013, as reports began to filter in that Azhar and the JeM had been “reactivated” by Pakistan’s Inter-Services Intelligence, Doval expressed his concerns. In an interview to Reuters he spoke about “JeM’s obsession with India that transcends Kashmir. Any re-activation of Masood Azhar is a cause of deep concern” Doval told the news agency. Which probably explains why the NSA got involved directly. His decision would also have taken into account the fact that the the Defence Security Corps in charge of the airbase is an organisation raised to cater to the retiring soldiers from the Indian Army and give them continued employment. As a result, the men engaging with the terrorists were well past their prime, used to guarding static installations and completely ill-equipped to deal with a determined terror attack. Every air force station also has its security detail drawn from the air force personnel, armed with outdated small arms that report to the Chief Administrative Officer – a man usually drawn from the non-flying branches of the Indian Air Force. While they are adept at perimeter security of the station, they aren’t trained to deal with major terror attacks. Pathankot: Beside a burnt truck in the motor transport section of the Pathankot Air Station, about a kilometer from the imposing, heavily-guarded main gate, lay a crumpled camouflage jacket. This is where Garud commando Gursewak Singh fell fighting terrorists early on Saturday morning. Not far from there, a group of about 50 commandos of the elite National Security Guards sat on the ground, their weapons on their laps or beside them. Most had removed their masks and none of them was talking. Their faces betrayed no emotion, only extreme exhaustion. The three-and-a-half day gun battle to eliminate six terrorists who attacked the base had ended only a few hours before. About a 100 metres away from the motor transport section is a wall of the sprawling air base. In some places it is as high as 10 feet and has concertina wires, a type of barbed wire. In other places, only wiring marks the boundary of the airfield. Very close to the transport section is a row of neatly painted houses with manicured gardens. These are residential quarters for airmen and their families. On the road in front, chain tracks from armoured vehicles were still fresh. They led to the technical area, where, in an enclosure of about 15 feet by 20 feet neatly marked out by tape, lay the bodies of five terrorists. They were all in green military fatigues. "There are some dugouts here, part of old structures and had very thick vegetation. Perhaps that is why the terrorists holed up here," a Garud commando in full battle gear, explained to reporters. "We used bulldozers to remove the vegetation as we moved slowly first to corner and then eliminate them." It was here that Lieutenant Colonel Niranjan Kumar was killed and his buddy seriously injured. A note circulated in the highest levels of the government says, "Lt Col Niranjan died accidentally when handling the dead body of a terrorist." It is time PM Modi re-orients our strategy to 'talks while we end terror'. In the wake of the dastardly attack on our airbase in Pathankot, which saw seven of our brave men being martyred, allegedly by terrorists and not mere "enemies of humanity", who evidently came from Pakistan - plotted and planned the operation on Pakistani soil, and were controlled by handlers sitting in Pakistan - it is time we act. Not because our emotions run high or because we were promised a "56-inch" response to every terrorist attack, not because it makes for a strong political posture, but simply because it is in the deeper national and strategic interest to take out those who have the audacity to attack us, threaten our homeland and who continually jeopardise any possibility of future peace in the region. We cannot afford a repeat. We cannot allow it to go unpunished. Most importantly, we have now over the decades extinguished any and all alternatives to deal with this problem. During the Vajpayee years, we were blackmailed into releasing dreaded terrorists in exchange for the IC-814 hostages, who have since continuously bled India and derailed larger engagements with civilian governments in Pakistan. We have tried dialogue in order to broker peace with Pakistan during those years and it blew up in our face with Kargil and Parliament attack- in every instance, the fingerprints of certain anti-India constituencies from Pakistan were evident and visible. These constituencies includes the Pakistan Army, the notorious ISI and certain "non-state actors" - all of which are out of the control of the Pakistani civilian government. We then tried talks in the hope of ending terror and we got 26/11 in return. Till date not a single perpetrator in Pakistan has been brought to book for their involvement in the Mumbai attacks. This is despite the fact that even the Americans, through testimonies from David Headley, know exactly who is responsible for so many deaths in India. America is not going to fight our battles. They have much bigger stakes and interests in Afghanistan. They need the ISI, the Pakistan Army and in the past it has been the US which has created, equipped and funded the Afghan version of these "non state actors" to stave off a Soviet invasion of Afghanistan. They frankly don't care about our interests. We need to fight our own battles. PM Modi prior to elections had promised "no talks amidst terror". Frankly, he promised the moon and it was a myopic policy statement that only excited some right-wing BJP supporters. Only the greenest among us believed Pakistan might tone down its terror ways after Prime Minister Narendra Modi dropped in to hug and hold hands with Nawaz Sharif. For many of us who have lived through Kargil and Mumbai, Kabul and Parliament, the question was never an “if” but a “when” the next terror attack would happen. Pakistan did not disappoint – Jaish-eMohammed, sometimes in the ISI doghouse, was pulled out for the Pathankot operation, almost certainly planned before the pappi jhappi. But more than 100 hours and many dead bodies later, we have learnt several things, some repeat lessons, some new ones. In 2008, after the ISI-directed LeT attacks in Mumbai shook India, Pakistan’s first, second and third responses remained complete denial that the attacks had originated there, planned and executed from their soil. It was after Pakistan media discovered Ajmal Kasab’s family in Faridkot, US technical intelligence nailed them through their phone calls and David Headley landed in the US net that Pakistan arrested Zakiur Rahman Lakhvi. This time Pakistan has not questioned even once that the attack came from them, instead has offered to investigate Indian “leads”. You don’t want to hold your breath here but mark Washington’s second statement on Monday where they laid down the line: “It’s certainly our expectation that they’ll treat this exactly the way they’ve said they would.” That’s progress. Second, we knew terrorists were prowling in the tall grasses near the Pathankot airbase. Unlike 2008, we seemed better prepared, and had moved out important equipment etc. But for some strange reason, the suicide squad still came into the base, killed security personnel, left booby-trapped dead jihadis and kept our guys engaged for the better part of 72 hours. And that is where we have come unstuck. Once again we exposed glaring gaps in our security preparation that would make amateurs blush. A thermonuclear test by the ‘rogue triad’ imminent? In February 2013, I had warned about the China-Pakistan-North Korea “rogue triad testing an FBF (fusion boosted fission) device at the North Korean test site in the Hamyongg Mountain range in the northeast of that country. I had referred to the fact that the Punggye complex at the site, complete with the instrumentation bunker, closely resembled the Ras Koh complex in the Chagai Hills. And the extreme likelihood of China transferring the tritium and highly-enriched uranium (HEU) needed for the device designed by Pakistani scientists and vetted by Chinese nuclear weaponeers, by road across the mountainous border with North Korea in the Jiangsu province to avoid aerial detection. I had said that that the 30KT yield recorded by sensors of the pure FBF device actually proved better than the Indian S-1 hydrogen test in 1998. (See “http://bharatkarnad.com/2013/02/08/rogue-triad-and-h-bomb-tests/ and http://bharatkarnad.com/2013/02/12/nokopak-h-bomb-test-superior-to-indian-s-1/). The rogue triad is now upping its game. There is now evidence of a new angled deep tunnel being bored in the Hamyongg mountains to best buffer shock waves in rocky stratum, and suggests preparations for a thermonuclear test. If it succeeds, Pakistan will have access to bonafide two-stage thermonuclear weapons tested by the nuclear outlaw North Korea on its territory, and hence attracting no sanctions or other other harsh reaction. China is in the top tier and immune to American pressures. And it will achieve for the Pakistan Army something it has been pushing the Pak N-weapons establishment quickly to attain — equalization with India, and bridging the remaining qualitative gap with India — this even though, post-1998 moratorium on testing, the Indian thermonuclear weapon is more fiction than fact in that some fundamental design problems relating, for instance, to the radiation channel remain. These are amenable to solutions worked on with computational means, but the rejigged design still needs to be proved and its performance cannot be verified except with a battery of new open-ended testing of fusion designs incorporating the engineering and other changes. And new tests is what GOI — advised by R Chidambaram who has stayed on as S&T adviser to PM and continues to misguide the Indian govt about the non-necessity of new tests — is not permitting, fearful that it will upset the applecart of the N-deal with Washington and sink Indo-US “strategic” relations, not that this country has gained much from the special relationship with the US. On January 4, over two lakh people hit the streets in Malda district, West Bengal, protesting against Akhil Bharat Hindu Mahasabha leader Kamlesh Tiwari for his alleged derogatory remarks against Prophet Mohammed made almost a month back. The rotesters went on a rampage which lead to arson and gunfire. They set two dozen vehicles on fire and attacked the Kaliachak Police Station. Ten people were arrested after 48 hours of the clashes. Reportedly, some of them have already been given bail. Muslim organisations have been holding similar protest rallies across the country. But nowhere have these rallies turned this violent. As the district simmers, questions are increasingly being raised on whether West Bengal Chief Minister Mamata Banerjee's Muslim appeasement policy is giving a free run to fundamentalists in the state. Catch spoke to exiled Bangladeshi author Taslima Nasreen, who claims to be a victim of Mamata Banerjee's practice of succumbing to the demands of radical Muslim bodies. The protests against Kamlesh Tiwari's remarks against Mohammad Prophet have been happening all across the country since the past one month. But why do you think it turned so violent in West Bengal? Mamata Banerjee's Muslim appeasement policy made these fundamentalists this violent. I remember, two years ago, when her government banned my TV script only to appease some Muslim fanatics. Now she is seeing the results of those actions. She has created a Frankenstein monster. In Malda, the fundamentalists are so intolerant and violent that they banned a girl's football team. So, you feel since Mamata didn't intervene then, things have totally spiraled out of her hands? Yes, that was a sign actually of how intolerant they were becoming and how the government, by not stopping them, was actually giving them more strength. In 2013, without any protests from Muslims, the launch of my book 'Nirbasan' was cancelled at the Kolkata Book Fair. On the day of the launch, the Police asked my publisher to not go ahead with the event. That was also to appease Muslim fanatics. Why do you think Mamata Banerjee gets so much criticism for siding with the minority? Mamata doesn't care for the rights of Muslim women or for the overall betterment of the Muslim community. The Muslim fundamentalists are against women's rights. They are misogynist, anti-women and oppose secular laws. They do not want justice and equality. They want Muslims to be educated in Madrassas and are completely against secular education. So, by only focusing on vote bank politics and supporting Muslim fanatics, Mamata is only deepening the crisis that Muslims in Bengal find themselves in. Sanjeev Ahluwalia is Advisor, Observer Research Foundation. He specializes in economic governance and institutional development. The Kelkar Committee on PPPs, headed by former Finance Secretary, Vijay Kelkar submitted its report to the Finance Minister in November. The report was made public only last week though. What does it say are the problems with PPPs in India, and what solutions does it offer? So what is a Public Private Partnership (PPP) model? And why have industry insiders declared it as broken even though India has 1200 such projects in operation (the largest number internationally for any economy) with a total investment of over Rs 7 lakh crores (US $ 100 billion)? And does it matter? By proposing a definition, the report makes four important distinctions from what the practice is today. First, it is high time India had a PPP policy duly presented to Parliament so that an appropriate regulatory regime could be specifically designed, possibly under a new legislation. The report is mindful of the current political economy, which has created an impasse in Parliament. This is why it recommends against an immediate resort to legislation to solve implementation problems, as has been the trend in recent times, albeit ineffectually. Second, a PPP is designed to combine the relative comparative advantages of public and private ownership. This design advantage is completely subverted when government uses a notional PPP route to set up a special purpose vehicle with a state owned enterprise (SOE), even if the latter is incorporated under the Companies Act. The report implicitly acknowledges, what is internationally accepted, that SOEs are just not as efficient or nimble as a private firm. Nor would they be able to pull-in the additionality of managerial experience and private investment, which is one of the main objectives of a PPP. Third, not all instances of public-private joint investment are PPPs. A firm producing steel and set up with an assured buy-back arrangement from government would not be a PPP because steel is a private, and not a public, good. This is how Tata Steel’s Jamshedpur plant was set up way back in 1907. But what of units proposed to be set up for defence equipment, under the “make in India” route, on a similar basis? This remains unclear and hence the need for a policy. Lastly, by specifying the need for a “market-determined” revenue stream and commercial viability, the report deftly strikes a three-in-one blow for transparency, competition and efficiency. All three are hallmarks of a successful PPP. Related body blows are struck against crony capitalism and gold-plating through the emphasis on long term, high quality service as a monitored output linked to the revenue stream, rather than just one-time payment for construction of an asset. After a year of bad news, Afghans are searching for reasons to remain hopeful. Last year was full of ups and downs for Afghans and their government. The rise and expansion of ISIS, the growing insecurity in northern Afghanistan, the fall of Kunduz into the hands of the Taliban and the exodus of Afghans into Europe were each, in their own way, a failure. On the other hand, the kick-off of the TAPI pipeline project, the country’s accession to the WTO, the start of development work on Salma Dam and the progress toward building regional consensus were all notable successes for the National Unity Government. It is often said that the greatest failures are life’s greatest lessons. What lessons, then, can Afghanistan learn from 2015 for the year ahead? After news of the death of Taliban leader Mullah Omar was leaked by Afghan intelligence, the Taliban divided into two groups, one led by Mullah Akhtar Mansour and the other by Mullah Mohammad Rassoul. They fought each other in the Zabul and Helmand provinces to gain control over the leadership ranks. Neither really succeeded, and the Taliban remains fragmented. So far, the Afghan government has failed to make use of this internal division in the Taliban to gain the upper hand. Of course, whether it was possible to do so is debatable because of security gaps and internal fragmentation in the National Unity Government itself. Moreover, the rise of Daesh is in part a product of that fragmentation. The fall of Kunduz and the Taliban's brief control thereof was significant for two reasons. First, it demonstrated that while the Taliban is fragmented it is nonetheless far stronger than before, and thus has the ability to challenge the writ of the government and exploit gaps in the security institutions. The special commission appointed by President Ashraf Ghani found a lack of security coordination to be the main cause of the province’s fall. Second, the fall of Kunduz highlighted not only significant gaps in the government’s security institutions, but also how those gaps are exacerbated by the internal problems and disagreements that plague the National Unity Government (NUG). “I would not concede [the Afghan security forces] are losing ground across the country,” Cook said. The death of a U.S. service member and injuries to two more Tuesday are shrouded in mystery—with the Pentagon refusing to explain their mission in an increasingly secretive conflict. On Tuesday, one U.S. service member was killed and another two were injured while fighting in the city of Marja, in Afghanistan’s restive Helmand province. But the Pentagon could not say why those troops were there, or what their mission was. It’s all part of an increasingly dangerous Afghan war that’s being fought more and more in the shadows. Two HH60 Pave Hawk helicopters sought to rescue the injured troops. According to Pentagon spokesman Peter Cook, one was turned away, while the other landed. Initial reports from the Pentagon said it did not leave the site because it was under mortar fire; Cook then said helicopter hit a wall, damaging its rotary. Either way, the helicopter could not take off and the U.S. troops were engaged in an hours-long firefight, whose resolution is still unclear. At press time, the battle, which began 12 hours earlier, had not ended, defense officials acknowledged. Fox News reported late Tuesday that more than a dozen troops were surrounded by a “sea” of Taliban and awaiting an AC-130 gunship to provide air cover. At a Pentagon briefing Tuesday, Cook said he could not say why those U.S. troops were fighting in Marja, whether their mission was a counterterrorism or combat one, why one helicopter was waved off but another was allowed to land, how many Afghan soldiers were injured along with their American counterparts, or even if the injured had been evacuated from the active battlefield. In part, the secrecy stems from the kind of American forces now battling in Marja. In Helmand province, as in other parts of Afghanistan, special operations forces have stepped in where the Obama administration has withdrawn more-traditional troops. On December 31, China inaugurated three new military forces: a general command for the army, the People’s Liberation Army (PLA) Strategic Support Force, and the PLA Rocket Force. The latter, which replaces the Second Artillery Force, will be in charge of China’s nuclear arsenal. General Wei Fenghe was named the new force’s first commander. Wei has a long history with the Second Artillery Force; he served as its chief of staff from 2006-2012 and then as commander-in-chief from 2012 until the service was reconfigured as the Rocket Force. The creation of the Rocket Force is part of a larger move to restructure China’s military with a streamlined command under the direct control of the Central Military Commission. The new force is considered the fourth branch in China’s military, on equal footing with the PLA Army, Navy, and Air Force, according to Global Times. Unlike the Second Artillery Corps, the Rocket Force will command all three legs of China’s nuclear triad, rather than just controlling land-based nuclear missiles. The Rocket Force will also be in charge of conventional missiles. Global Times reported that the force has already held its first drills, practicing mobile combat operations and missile launches. In the inauguration ceremony on Thursday, President Xi Jinping (who is also chairman of the Central Military Commission) called the PLA Rocket Force the “core force of strategic deterrence, a strategic buttress to the country’s position as a major power, and an important building block in upholding national security.” He tasked the new force with enhancing China’s nuclear deterrence and counter-strike capabilities, and thus maintaining a strategic balance. He also urged the Rocket Force to improve China’s ability to conduct medium- and long-range precision strikes. China’s Wanda Group is poised to become the world’s largest sports company. Arguably the most influential people in the world of sports are FIFA President Issa Hayatou, Olympic Committee President Thomas Bach, International Cricket Council CEO Dave Richardson and NFL Commissioner Roger Goodell. These men oversee the four most widely watched sporting events on the planet. Other contenders are ESPN Executive Chairman George Bodenheimer, Nike CEO Mark Parker, and, as of quite recently, Wanda Group owner Wang Jianlin. Wanda is currently China’s largest real estate developer and the world’s largest cinema operator, and according to a report last week by The Australian Financial Report, it will soon be the world’s largest sports company as well. Wanda has already purchased the Ironman Triathlon for $650 million and plans to bring the event back to China. Before triathletes rejoice, they should bear in mind that the reason the Ironman has been discontinued in China for the past five years is because China failed to meet the brand’s quality standards. Hopefully its return signals more than a change in the owner’s nationality. In its own “pivot” of sorts, China looks set to pursue broader ties in the Asia-Pacific region in 2016, advancing initiatives such as the Asian Infrastructure Investment Bank and ramping up maritime and land trade corridors. Seven experts assess the challenges and opportunities in China’s relations with Southeast Asia, Japan, Central Asia, South Asia, the Korean Peninsula, and Australia in the next year. China’s relations with Southeast Asian nations, which had warmed significantly in the mid-2000s, have since settled somewhere between cool and downright icy. While 2015 saw a thawing of relations, coastal Southeast Asian nations, like Vietnam and the Philippines, continued upgrading their navies and coast guards, building relations with the United States to hedge against Chinese power, and searching for novel strategies to constrain China’s ambitions. At the same time, some mainland Southeast Asian nations, such as Laos and Thailand, not directly affected by regional maritime disputes, seemed increasingly comfortable with China’s ascendance into a major Southeast Asian power. In 2016, China will almost surely continue its assertive diplomacy and military actions in Southeast Asia, and despite the slight cooling of tensions, these policies could easily give way to a China-Vietnam or China-Philippines standoff in the South China Sea. Chinese leaders have publicly argued that state petroleum companies have the right to continue exploring in the South China Sea—an assertion that, eventually, Beijing will likely back up by moving rigs into the disputed waters, as it did in 2014. In the past year, China has threatened Vietnamese, Australian, and U.S. vessels that traveled near territory where China has reportedly built up and militarized small atolls. This approach will likely continue, especially in Beijing’s dealings with Hanoi, which China perceives as the most significant Southeast Asian threat to China’s South China Sea claims. Loss of faith in the country’s commitment to its minorities and to multi-party democracy has led influential people to reconsider autonomy of the Kurdish areas. A war of words has broken out between the Turkish President, Recep Tayyip Erdogan, and the leader of the left-wing People’s Democratic Party (HDP), Selahattin Demirtas. Mr. Demirtas, who is Kurdish, leads a party that unites the Kurdish nationalist forces and Turkey’s left-wing groups. Until recently, he and the HDP have called for more rights for the Kurdish population within Turkey rather than for the creation of a Kurdish state out of Turkey. The Kurds in Turkey are spread out across the country, with Istanbul having the largest concentration (one million Kurds). Nonetheless, the majority of the Kurdish population lives in the country’s south-east, which has been the epicentre of demands for self-determination. In late December, Mr. Demirtas backed a resolution passed by the Kurdish Democratic Society Congress (DTK), which reiterated an old demand for the creation of Kurdish “autonomous regions” and “self-governance bodies”. Mr. Demirtas, who has a calm and careful political demeanour, has come to this position from great desperation. Out of the gaze of the international media, Turkey’s government has been prosecuting a violent war against the Kurdish people. From last summer, Turkey began a policy of military curfews and severe crackdowns on the Kurdish towns and cities of south-eastern Turkey. Turkish tanks have been shelling Cizre, near the Syrian border, and military operations in Diyarbakir and Silopi escalate each day. The region, say local journalists, resembles a war zone. Mr. Erdogan has called this violence a “fight against separatist terror organisations”. Diyarbakir mayor Gultan Kisanak said, “Tanks and heavy weaponry, which are only used in conventional warfare, are being used by the Turkish armed forces, in areas where hundreds of thousands of civilians live.” Ms. Kisanak, a former political prisoner and a very popular politician, bravely stood up as an MP against the murder of 34 Kurdish civilians by the Turkish air force in the 2011 Roboski Massacre. She does not mince words, nor does she exaggerate. While the secular revolutions of the 20th century built up the Middle East’s institutions and economies, they also gravely wounded moderate religious sensibilities. It’s no surprise then, argues Paul Salem, that the region is now in the grip of a ferocious and unhinged religious backlash. This article was originally published by the Middle East Institute on 9 September 2015. Almost a century after Mustafa Kemal Ataturk abolished the caliphate in Istanbul and six decades after Gamal Abdel Nasser and the Ba‘th Party led a secular nationalist revolution in Egypt and the Arab world, the Middle East is rife with radical religious counter-revolution, and a caustic caliphate sits astride the Syrian-Iraqi interior. The secular nationalist revolutions, while they made great advances in state building and development, gravely wounded religious sensibilities and at the same time removed or weakened the very authorities that could moderate or lead religion in a more responsible manner. As a result, the region is witnessing a religious backlash that is both ferocious and unhinged. How has a religious tradition, which for a millennium was a global refuge for pluralism, tolerance, and moderation, been subverted to propel intolerance, brutality, and beheadings, and what can be done at this late stage to restore—or create—a more moderate religious authority? In a recent book called The Paradox of Liberation: Secular Revolutions and Religious Counterrevolutions, the American political philosopher Michael Walzer examines the cases of Algeria, India, and Israel. In all three countries, secular revolutionaries believed that history was a linear process unfolding in favor of secularism, science, reason, and nationalism, and that religion was part of a superstitious and fading past. But in all three countries, radical religious movements arose, reviving in a more virulent manner the religious identities, values, and imperatives of the challenged past. Could the creation of independent states for Kurds and Sunnis be the answer to the turmoil in Syria and Iraq? Iraqi forces attempt to find and destroy Islamic State explosive traps and pockets of resistance, after recapturing the city of Ramadi from the insurgents. Statecraft is simple, as long as the appearance of success matters more than results. Such a world view appeared to be the price of victory at the United Nations in December. No, I'm not harping on about the Paris global gabfest that reached a (non-binding, non-enforceable and non-verifiable) pact to reduce emissions. I'm referring to the unanimous Security Council resolution to end Syria's five-year civil war, which has claimed 250,000 lives. The contradictions in the UN peace plan are overwhelming. Both Russia and the US are looking for a way to cease the escalation of the conflict between the Alawite/Shiite-aligned regime and the Sunni rebels, without giving up their radically different positions. Iraq and Syria are artificial states and ethnically divided societies created out of the ruins of the OttoMan Empire. Washington – backed by its Sunni allies Turkey and Saudi Arabia – would like to see the end of Syrian dictator Bashar al-Assad, who has slaughtered his own (Sunni) people and starved recalcitrant (Sunni) cities and regions into submission. Moscow – supported by Iran and its Shiite proxies in Iraq and Lebanon – insists the Assad regime is necessary to defeat Islamic State, the Sunni terrorist group now occupying large stretches of Syria and Iraq. Complicating matters further, the opposition with which the UN wants Damascus to reach a negotiated political settlement is far from united. Islamic State is one of an almost uncountable melange of anti-Assad rebel groups with competing ambitions and interests. Welcome to the mess-in-potamia! At Climate Central, we love climate research (but really, who doesn’t?). We cover it relentlessly and a lot of findings have come through our inboxes this year. All those studies are crucial to shaping both what we know about the world we currently live in as well as what we’re in store for in the future depending on how we respond to climate change. But there are a baker’s half dozen studies that really piqued our interest this year, from the Atlantic circulation slowdown to the disappearance of the global warming slowdown. While the seven were all fascinating and critical, some also created controversies that are still ongoing. Why it made the list: The rate of global warming has increased with each passing decade. A couple of studies published this year show that the rate will not only continue to rise, but soon be one the earth hasn’t seen since the Vikings found their way to Greenland (and possibly longer than that). Warming will be fastest in the northern hemisphere, which just so happens to be where most humans live. Changing drought patterns across the U.S. at the start of each decade through 2095. The finding: The Southwest and Central Plains face an “unprecedented” megadrought. Why it made the list: The Southwest and Central Plains are already pretty dry places. Now imagine a drought that “makes the Dust Bowl look like a picnic.” That’s what the region has in store in the coming decades, according to climate projections published earlier this year. Since the 1930s Dust Bowl, population and agriculture have both boomed in the region. That means more people and more assets could face a drought worse than anything the region has seen in a long time. The finding: Atlantic circulation is weakening, which could be bad news for weather and sea levels. Why it made the list: Climate change is causing Greenland’s ice to melt, sending a rush of cold freshwater into the sea. That’s acting as roadblock on a key ocean conveyor belt that shuffles warm water from the tropics northward. The slowdown in circulation has been tied to a 5-inch spike in sea levels on the East Coast and harsh winters in Europe. Movie aficionados might also remember a similar scenario occurring in “The Day After Tomorrow” and spinning up a series of super storms that freeze out the East Coast. That outcome is a little far-fetched but the impacts of an Atlantic shutdown are still nothing to scoff at. A revised analysis shows a slight recent uptick in the global average temperature. The New Year has begun with alarm bells ringing across the globe over the potential economic impact of the ongoing conflict between Saudi Arabia and Iran that has now expanded to include other countries in the region. In the foreseeable future, the conflict is unlikely to impact oil prices much with supply outstripping demand, according to experts at Wharton and Georgetown University. Indeed, oil prices hit an 11-year low on Wednesday. Investment flows into Arab states are also a non-issue with minimal FDI going into Arab states over the years, except into natural resources facilities, the experts said. The immediate trigger for Saudi Arabia breaking ties with Iran was last weekend’s attack by a Shiite Iranian mob on the Saudi embassy in Tehran. That was in response to Sunni-dominant Saudi Arabia on Saturday executing Sheikh Nimr al-Nimr, a prominent Shia cleric and activist, along with 46 others. Saudi Arabia also did not relish it when U.S. Secretary of State John Kerry on Thursday praised Iran for taking a “significant step” in shipping low-enriched uranium to Russia as part of fulfilling conditions to allow six world powers including the U.S., the U.K. and Germany to lift sanctions against it. Geopolitical events tend to have a direct impact on oil prices in a tight market when demand and supply run close to each other, said Brenda Shaffer, a professor at Georgetown University’s Center for Eurasian, Russian and East European Studies (CERES). “When we have a liquid market, like we have now, where there is a huge gap between supply and demand, then geopolitical events, unless they affect the physical supply of oil, don’t tend to have more than a hiccup on oil prices,” she explained. Shaffer is also a senior fellow at the Global Energy Center at the Atlantic Council, a Washington, D.C.-based organization focused on promoting global security. A schism emerged after the death of the Prophet Muhammad in 632. He died without appointing a successor to lead the Muslim community, and disputes arose over who should shepherd the new and rapidly growing faith. Some believed that a new leader should be chosen by consensus; others thought that only the prophet’s descendants should become caliph. The title passed to a trusted aide, Abu Bakr, though some thought it should have gone to Ali, the Prophet’s cousin and son-in-law. Ali eventually did become caliph after Abu Bakr’s two successors were assassinated. CRUDE OIL PRICES ARE PRESENTLY TESTING HISTORIC LOWS, WITH "NEW" IRANIAN OIL SET TO HIT THE MARKET IN 2016. In general, that's good news for a global economy that's greatly benefited from lower energy prices thanks to the North American-led fracking revolution in tight oil and shale gas production. That production growth has allowed the US to continue to cut its crude oil imports, thus allowing major Persian Gulf exporters to further concentrate on meeting South and East Asia's ever growing demand. It's no mere coincidence that America's willingness to play "global policeman" in the Persian Gulf has declined commensurately with its growing energy self-sufficiency. Yes, war-weariness was the proximate cause for Washington's strategic disengagement from the region under President Obama, who packaged that move as a necessary "strategic pivot" from Southwest Asia to East Asia so as to counter China's growing military "muscle flexing." But that was why Obama was elected - twice. As we've seen with the Paris terror strikes of weeks back, a Western great power (France) can easily find itself sucked back into the Middle East's many battlefields, so Americans should not delude themselves into thinking that such renewed pacifism is permanent. The right constellation of terror strikes in the US could easily push the next president (Clinton? Trump? Rubio?) into more vigorous action, no matter how much the Pentagon prefers to plan its high-tech future wars against more conventional opponents (Russia, China). I mean, sometimes America's foreign policy happens to the world, and sometimes the world happens to America's foreign policy. Ultimately, however, it will more likely be America's rising energy self-sufficiency that dissuades Washington from reassuming a lead balancing/stabilizing military role in the Persian Gulf - that, and the rise of the Millennial Generation as a force in American politics (hint, they don't see China as an enemy and greatly prefer multilateralism over unilateralism). Many stories have been told during recent days about the rise of Islamic State (Daesh) in the northern neighbors of Iran, including in Central Asian republics — as if Daesh, and its supporters, have started an extensive plan to spread insecurity along the northern borders of the Islamic Republic ,as well as in security environment of Russia. Russia’s military involvement in Syria crisis during recent months has also securitized the situation in Caucasus and Central Asia. The current conditions in West Asia and the general focus on countries like Syria and Iraq have prevented due attention from being paid to the situation in a region, whose cultural, religious and political conditions should be studied in the light of the impact that extremist groups in the Islamic world can potentially have on this region. Familiarity with theoretical foundations as well as fighting methods and policies of Islamic movements, as one of the important actors in the political arena of Central Asia and Caucasus regions, which are both considered as part of the Islamic world, is among noteworthy issues. Major questions that are currently raised by experts include: Have developments in Syria and Iraq had any security impact on Central Asia and Caucasus and how possible impacts of these developments can be analyzed? And will Russia’s military intervention in Syria prompt Takfiri forces to take the war theater to Central Asia and Caucasus and other spheres of Russia’s traditional influence? A former congressman and retired Army officer opines on the danger to the United States posed by Islamic jihadism and offers ways for U.S. leadership to face that threat. Criminal Networks in Venezuela: Their Impact on Hemispheric Security by Prof. Leopoldo E. Colmenares G.
A noted Venezuelan educator and author demonstrates how the Chavista political process allowed the formation of a partnership between the Venezuelan government and illicit transnational organizations. Two social science research analysts for the U.S. Army’s Human Dimension Task Force discuss the importance of U.S. soldiers developing personal relationships with their multinational partners and members of the local communities, deeming those relationships critical to mission success. The Army is attempting to learn from the 2006 massacre at Yusufiyah so that similar tragedies can be prevented. A West Point philosophy instructor offers key lessons about how the Army can teach its soldiers the moral obligations they have to other human beings, and the choices for which soldiers must be accountable. The author discusses the dynamic linguistic characteristics of megacities and how an appreciation of this linguistic landscape can help military leaders plan future military operations and better understand the megacity environment.